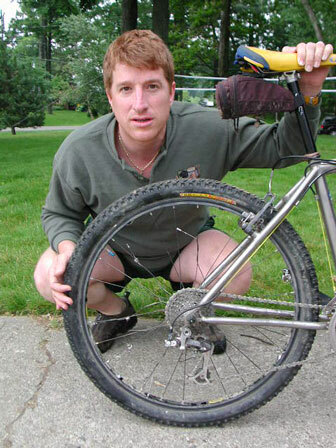 Here are various Mountain Bike races, adventure races, etc. 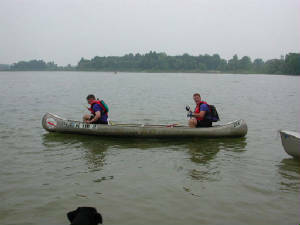 Mike W and Mike R did an Adventure race in Brighton, Mich July 21, 2001. Awesome time, and our familes supported us greatly! 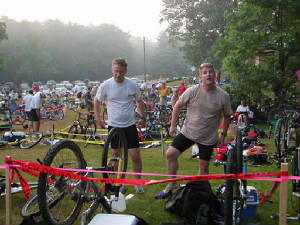 Race went up to 10 hours, of 100's teams that entered only a few finished under 10 hours. We were exhausted. Getting things ready for racing! 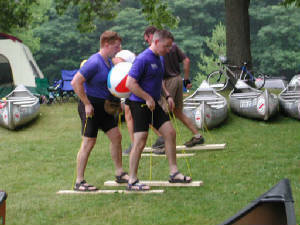 This walking segment tested your teamwork.